Additional suspension articulation makes the difference between getting over an obstacle, or getting stuck out on the trail. The Rancho Front Sway Bar Disconnects allow you to detach the front sway bar links on your Jeep Wrangler TJ in a matter of seconds. These heavy-duty end links come as a complete kit, and no additional components are required. The forged ends feature Rancho’s signature D2 bushings for increased durability and handling. Heavy Duty Construction: The Rancho Front Sway Bar Disconnects are purpose built to reduce noise, vibration, and harshness (NVH). Rancho uses .75” diameter DOM tubing with forged lower ends for an additional strength. This kit includes 3/8” thick low-alloy steel bar adapters. Jeep Specific Design: These Sway Bar End Links are specifically made for use with the Wrangler TJ and TJ Unlimited. They are adjustable, and work with 2” to 6” lifts. 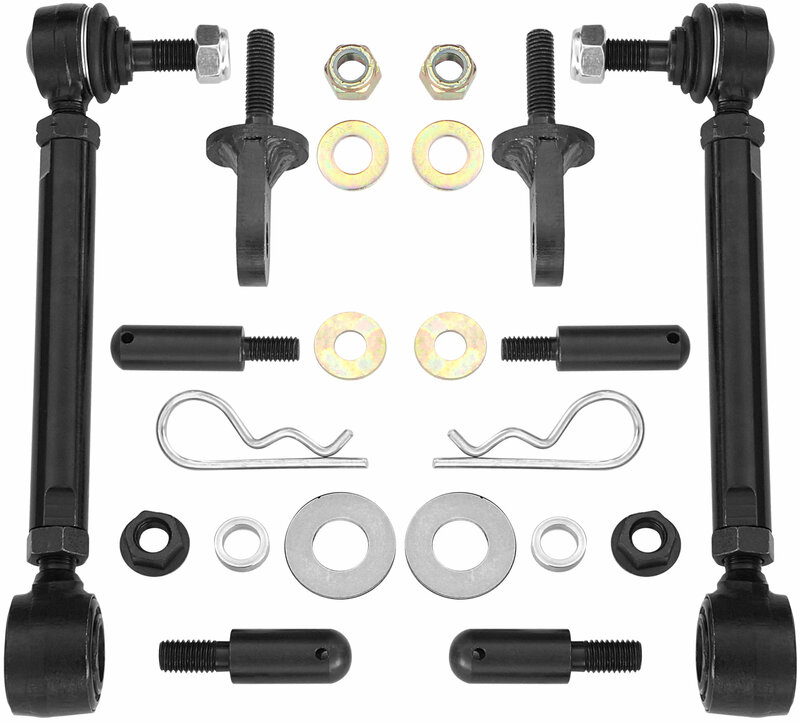 Unlike other sway bar end links, the length can be set while they are installed on the vehicle.